The Denver Post‘s Kurtis Lee gets the scoop – State Representative Amy Stephens (R-Monument) is running for U.S. Senate in 2014. In her seven years at the state Capitol, State Rep. Amy Stephens’ resume includes a stint as House majority leader and the champion of a host of legislation that most recently includes her working across the aisle with Democrats to better protect the state’s elderly from abuse. 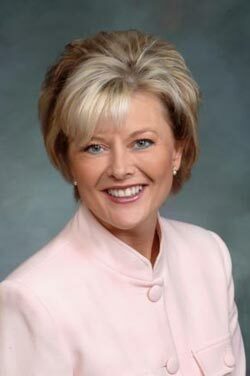 She joins fellow legislators State Senator Owen Hill and State Senator Randy Baumgardner and Weld County District Attorney (and 2010 U.S. Senate nominee) Ken Buck in the race. This is why she will not be elected Senator,the failure of SB 200.Health Care Exchanges are a failure which is why The Conservatives will not support her. Let's hear it for Amycare. How did Buck remove the woman last time? You have my vote – How can I help? Amy has been an outstanding representative for Monument and North Colorado Springs. She's willing to work with the opposition; not demonize them.